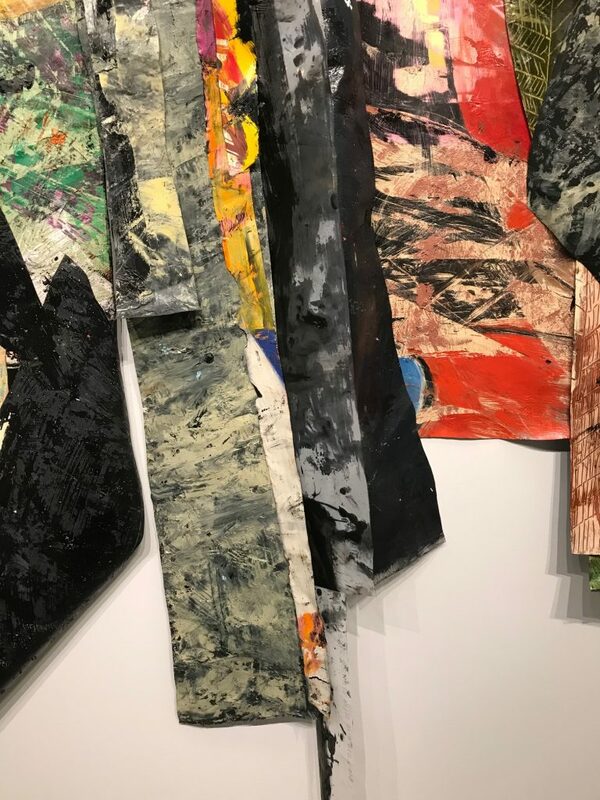 Contributed by Eileen Jeng Lynch / Angel Otero’s paintings revealed new palettes and breadth in his recent exhibition at the Bronx Museum of the Arts. 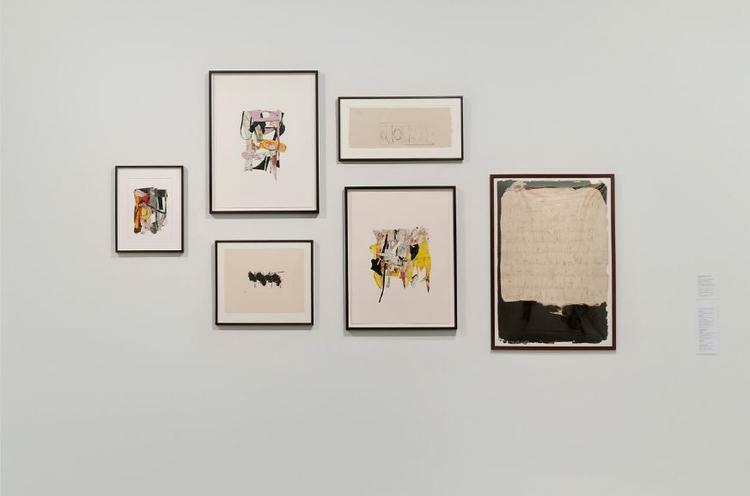 In “Angel Otero: Elegies,” six monumental hanging pieces and three works on paper were installed alongside three of Robert Motherwell’s lithographs and drawings, including Motherwell’s “Elegy”studies and an excerpt of an essay by his friend and critic Harold Rosenberg. Guest curator Christian Viveros-Fauné asked Otero to consider Motherwell and posed the larger question of abstract paintings’ role and relevance during times of cultural crisis. Abstract Expressionists, such as Willem de Kooning, have informed Otero’s work, and this exhibition initially raised the question of why compare Motherwell and Otero. The intention was not to be a one-to-one comparison but to draw parallels between the works of Otero and Motherwell, such as their emotive effect. 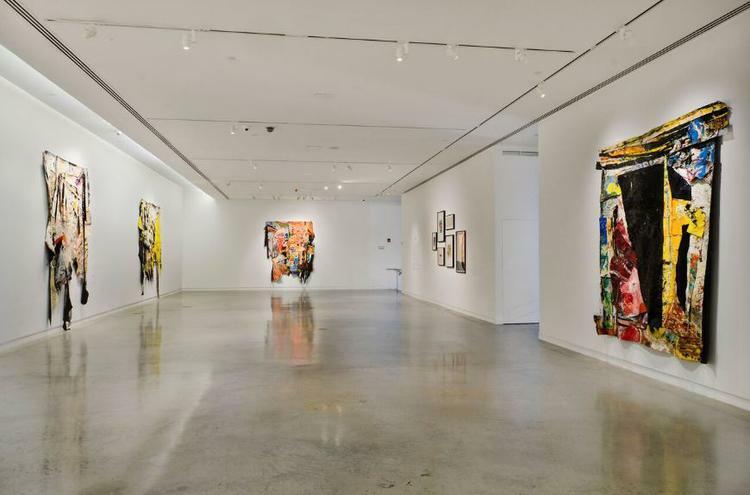 The exhibition considers explicit as well as implicit contexts, including rereadings of the works and interpretations of Abstract Expressionism, relationships between these artists and their critic friends, and role of the curator. Created specifically for the show, these tapestry-like compositions—some as high as 10 feet and as wide as 12 feet—were exhibited for the first time as a body of work since Otero started this new form three years ago. 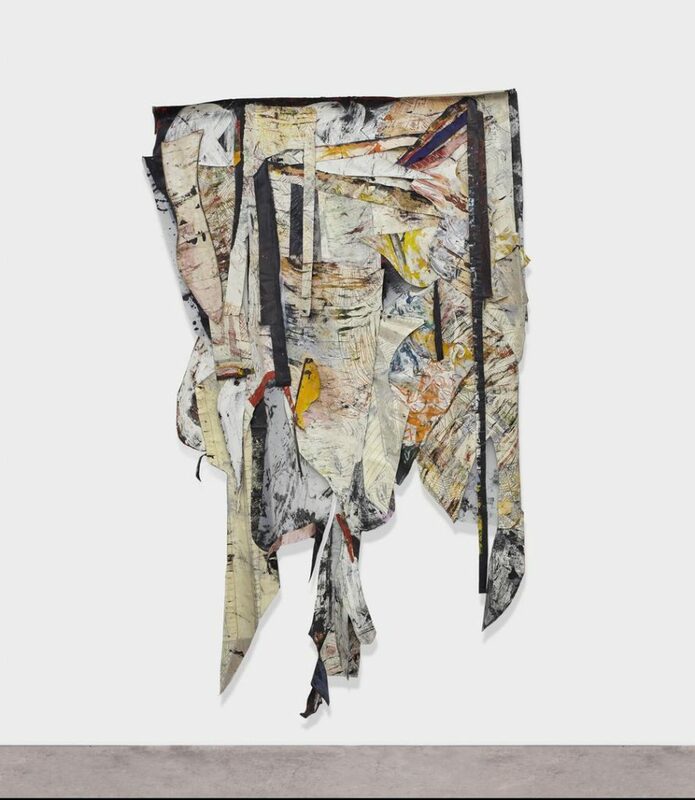 Otero’s paintings on canvas possess sculptural qualities, and the removal of the stretcher leaves the oil skins—Otero’s signature motif comprising undulating and torn layers of oil paint—and fabrics draping, emphasizing their materiality and physicality. Embracing chance and failure in his constructive and destructive process, over the last decade Otero has expanded his process of painting in reverse on plexiglass, scraping the layered surfaces, and adhering them to the canvas. Scraped oil skins amass stains from the plexiglass on which Otero paints, like collected memories. 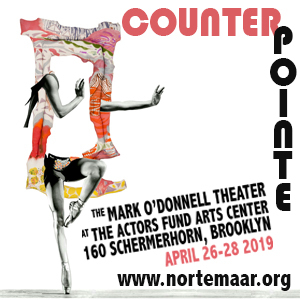 This fortuitous outcome opened up realms of possibilities across mediums and beyond the artist’s traditional boundaries. 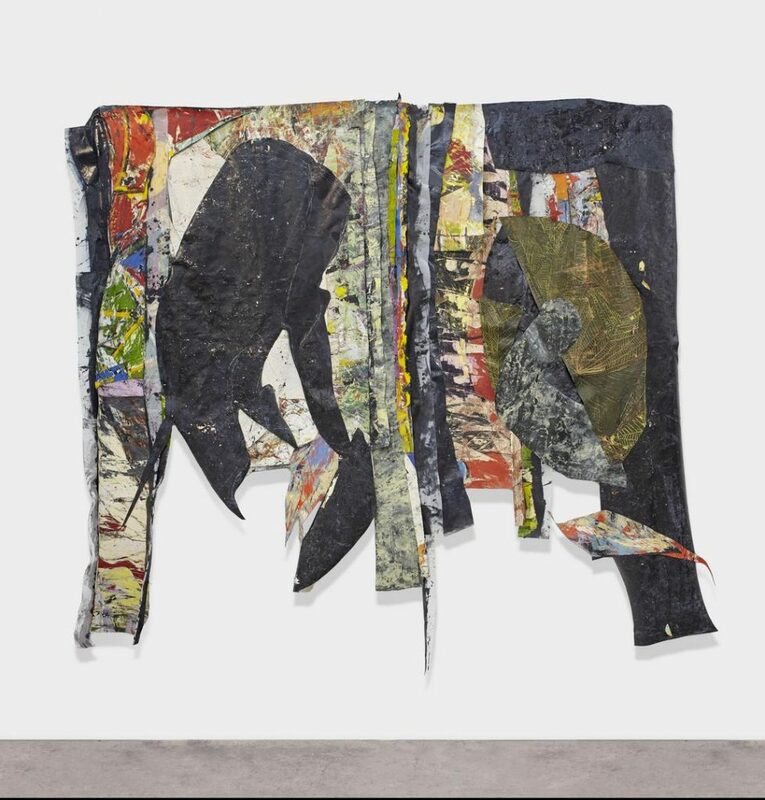 Otero accumulated discarded oil skins—remnants of unsuccessful works in his studio—and transformed them through cutting, layering, and sewing, giving these pieces new life as hanging works. Otero developed these pieces by constructing them on the wall, floor, from the ceiling, and then digitally on the computer. One of the framed collages in the show is a study of the large-scale painting Sour Times, 2017. Otero juxtaposes organic shapes with rigid, folded corners and opaque linear strips with painted asymmetrical translucent fabrics, creating shadows and varying depths. One could recognize vestiges of works from his earlier series, such as abstracted Nicolas Poussin and Pablo Picasso imagery, in these compositions. The most significant difference in these works from earlier hanging pieces in Otero’s studio is the presence of the black “under layers”—the final layers in Otero’s process. In the paintings, selected large dark areas allude to Motherwell’s gestural marks, and the most direct example is Otero’s Two Evening Moons, 2017 with two black ovoid-like shapes. 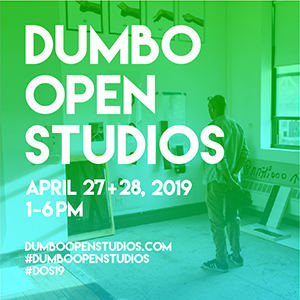 Otero has stated that his inspiration for this body of work derives from a diverse range of visual and formal references, including Henri Matisse’s flattened forms (which also inspired Motherwell), Al Loving’s sewn canvas paintings, and Eva Hesse’s organic forms. But, the relationship that develops here is to Motherwell’s sensibility and ways of thinking and seeing—joining the intellectual and the visceral. According to Viveros-Fauné, Motherwell once said, “Every intelligent painter carries the whole culture of modern painting in his head. It is his real subject, of which anything he paints is both a homage and a critique, and everything he says a gloss.” Further, in Motherwell’s 1951 essay about the New York School, he continued, “The work of its artists are ‘abstract,’ but not necessarily ‘non-objective’”—an observation that applies to both artists’ work in the show. 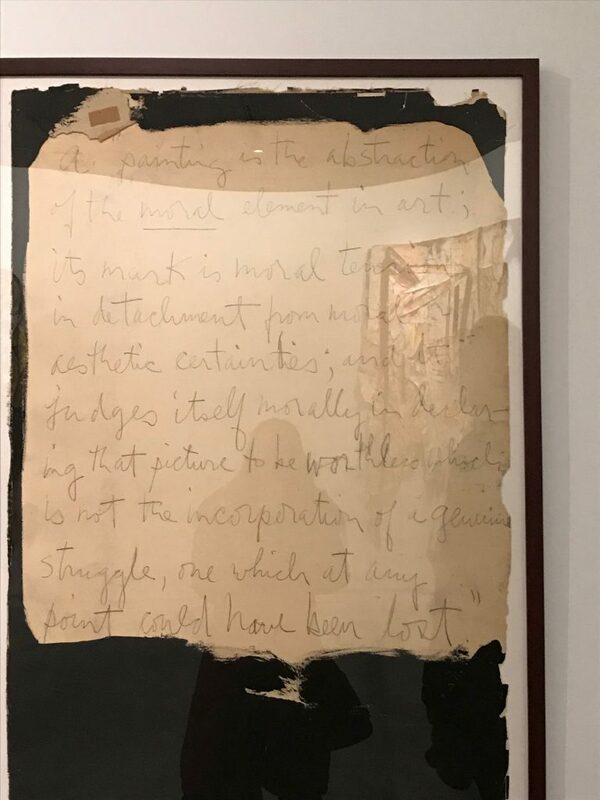 The curator’s inclusion of Motherwell’s citation of Harold Rosenberg’s excerpt from his 1952 “The American Action Painters” essay in a work on paper is a nod to their relationship, but it also calls to mind that historically, Motherwell’s work, like that of his New York School colleagues, was placed within a discourse that was either existential or formal—devoid of social and political contexts—by prominent critics Rosenberg and Clement Greenberg. History has suggested a more expansive interpretation, and placing Otero’s work alongside Motherwell’s opens a path for rereading the works and interpretations of Abstract Expressionism. How does Rosenberg’s declaration that “painting is the abstraction of the moral element in art” read today? The lesson here may be that art cannot be completely divorced from its social landscape, though the internal “genius struggle,” which he goes on to describe, still exists. The show raised further questions about the relationships between the artist and critic and/or curator, which can be complicated, as well as about the role of the curator. Otero recognized challenges as he and Viveros-Fauné worked toward his own goal, requiring a mutual trust. Otero was skeptical at first of such a specific reading of his work. We know that art is affected by context—be it didactic text or placement alongside other artists. Viveros-Fauné admits that Otero’s paintings are “not elegies in a traditional sense” but celebrations of “artistic resilience” and “innovation”—as the curator takes some liberty with the definition of “elegy,” a mournful poem, typically a lament for the dead. In his essay, Viveros-Fauné also reminds us of Motherwell and Rosenberg’s friendship and notes that Motherwell created an illustration for Rosenberg’s poem, which has been credited as the beginning of Motherwell’s “Elegy to the Spanish Republic”series. This perhaps parallels the situation between Viveros-Fauné and Otero and this show, in which the roles of critic, friend, and curator, become blurred. In “Angel Otero: Elegies,” the atypically exposed layers in Otero’s work may constitute a metaphor for Otero’s vulnerability. He says, “I still don’t think of them as elegies,” returning to more colorful palettes yet some with dark areas. This exhibition reveals that when prompted and challenged, Otero overcomes. It elucidates both artists’ powerful work and encourages viewers to contemplate art’s emotive effect and broader impact as reflections of the zeitgeist. “Angel Otero: Elegies,” The Bronx Museum of the Arts, Bronx, NY. October 25, 2017 through April 29, 2018. Otero discovered reusing pieces of dried paint for practical purposes in graduate school. “Preface [‘The School of New York’]”in The Writings of Robert Motherwell, ed. Dore Ashton with Joan Banach (Berkeley: University of California Press, 2007), 154. It originally appeared as a preface in an exhibition catalogue. “Preface,” Seventeen Modern American Painters (Beverly Hills: Frank Perls Gallery, 1951), unpg. Robert Motherwell, “Robert Motherwell: A Conversation at Lunch,” in An Exhibition of the Work of Robert Motherwell (Northhampton, MA: Smith College Museum of Art, 1963), unpg. This preface by the artist was based on long-hand notes by Miss Margaret Paul, of the Smith College Museum, one day in November 1962, at lunch. 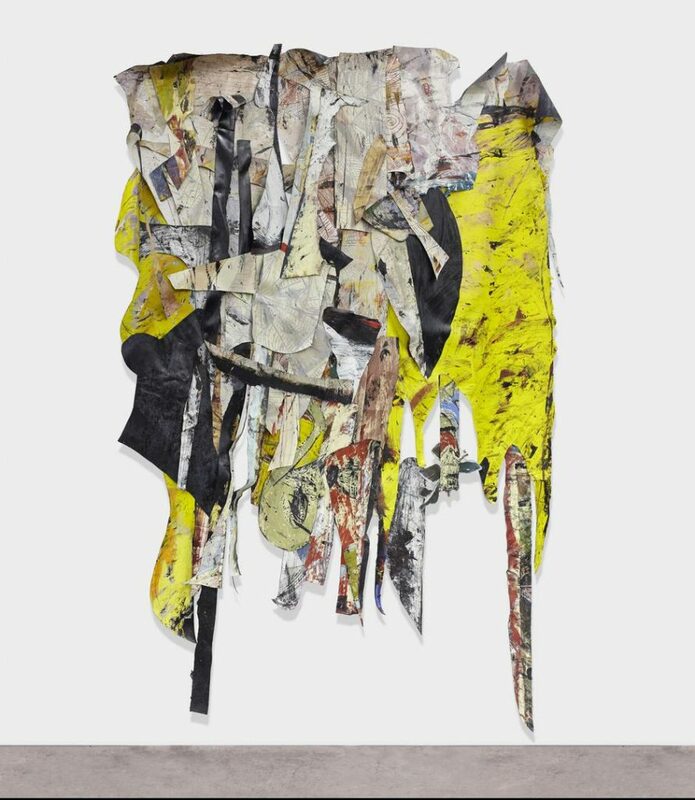 In fact, one of Otero’s works in the American Academy of Arts and Letters Invitation (March 8–April 8, 2018) was titled At Five in the Afternoon, 2017, which alludes to Motherwell’s work on paper for Rosenberg’s poem. It was for the second issue of the duo’s magazine Possibilities, which was never published. About the author: Eileen Jeng Lynch is an independent curator and writer who has organized numerous exhibitions in New York. 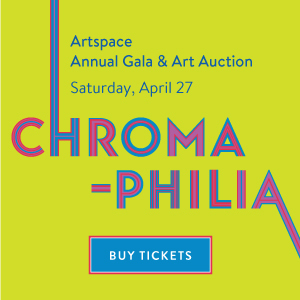 She has more than ten years of experience in nonprofit and for-profit arts organizations, and is currently the Curator of Visual Arts at Wave Hill. Thank you Eileen Jeng Lynch for this in depth review of this beautiful show.